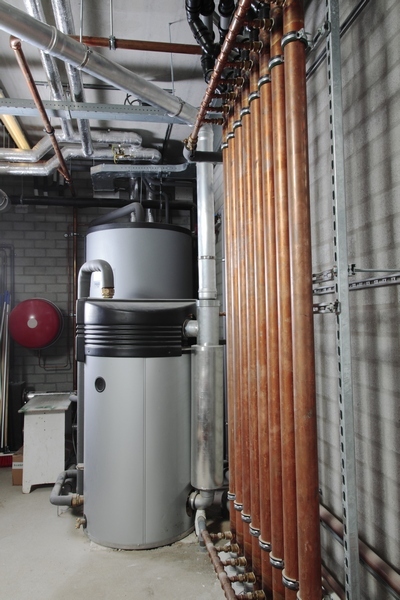 At Showersave we have worked hard to develop further our commercial waste water heat recovery system. The size of system is specified on a bespoke basis but central to its success is the tried, tested and wonderfully simple Showersave system. The MultiVert system is likely to have a rapid return on investment and significantly reduces CO2 emissions of both existing and new projects. There are 50 or so systems already installed in Europe, which are around 35-40% efficient, depending on application; realising rates of return on investment often >18%. This can come in many shapes and sizes, from multiple shower suites in a Golf Club; to bottle washing facilities for a well-known drinks brand. Applications might include hotels, Student accommodation, Commercial scale laundries, Sport facilities including swimming pool complexes, Food processing facilities, Military, prisons and other publicly managed accommodation. The maximum incoming water flow rate which can be passed through a single Showersave heat exchanger is 12 litres/minute. The capacity of a MultiVert, consisting of a number of such tubes plumbed in parallel, can be easily calculated. 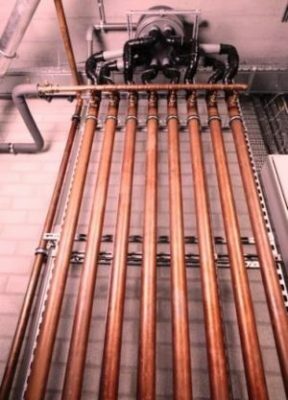 The heat recovery effectiveness of each tube length can also be calculated, at two different tube flow rates. Use the MultiVert quick calculation tool to generate a bespoke quotation for your commercial project, alternatively contact us to speak with a member of our sales team. Find the number of heat exchanger tubes required, and from this select the appropriate MultiVert model. Determine whether a waste water pump is required, and if it is select the appropriate pump model. In practice it is likely that a designer will also wish to predict performance, both in terms of energy and financial savings. The exact method of doing this is quite complex, please contact us for further information.